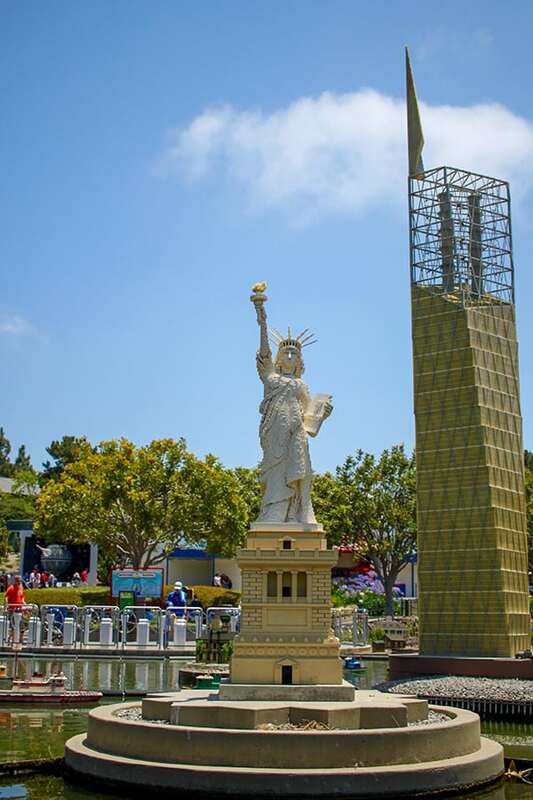 My family and I are big LEGO fans, so LEGOLAND has been a trip we have wanted to take for a really long time. Last summer, we finally took the plunge and booked a trip! 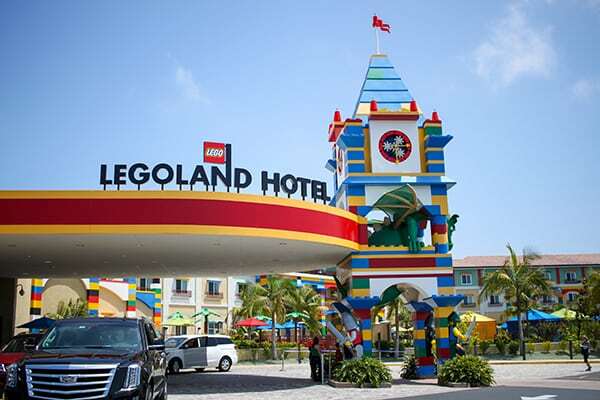 We spent three days at LEGOLAND and two nights at LEGOLAND Hotel and had a LEGO-tastic time! 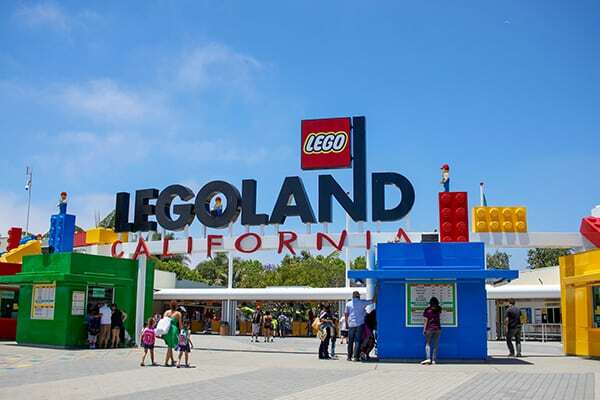 Here are our favorite LEGOLAND tips and tricks. 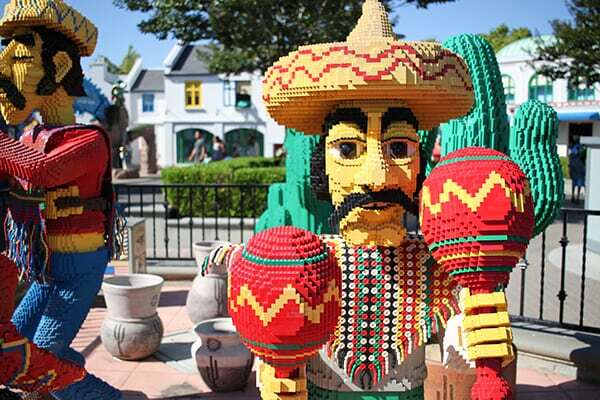 If you are looking for what to eat at LEGOLAND, check out my post on all the delicious LEGOLAND eats and treats. Before you go, check out all the deals. 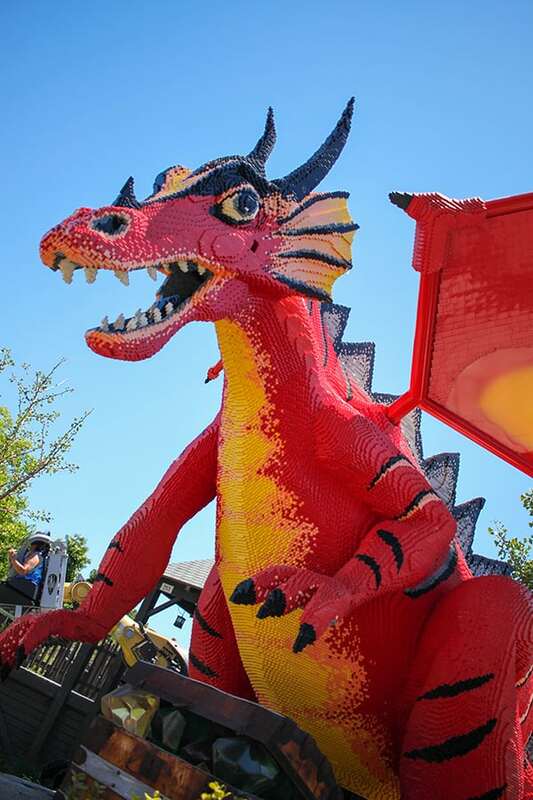 There are a lot of great options to save money on your trip to LEGOLAND. I researched all the available coupons and passes, but I found the best deal for us with Get Away Today. 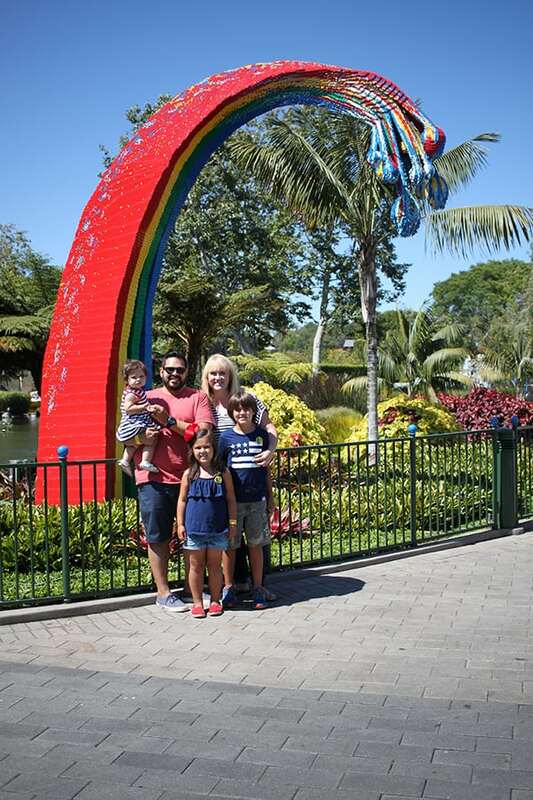 Our vacation package included two-day passes, early entry into the park and free breakfast at the LEGOLAND Hotel buffet which was awesome! 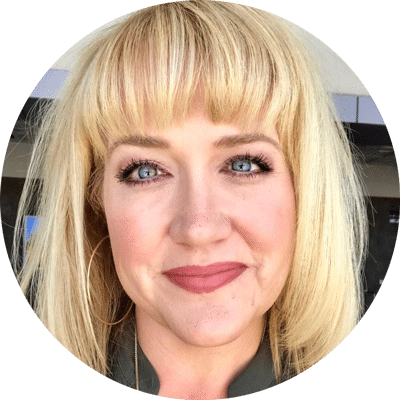 What I really love about Get Away Today in the lay away plan! You can book your vacation now with just $125 down and make payments on the balance up to three weeks before the trip. 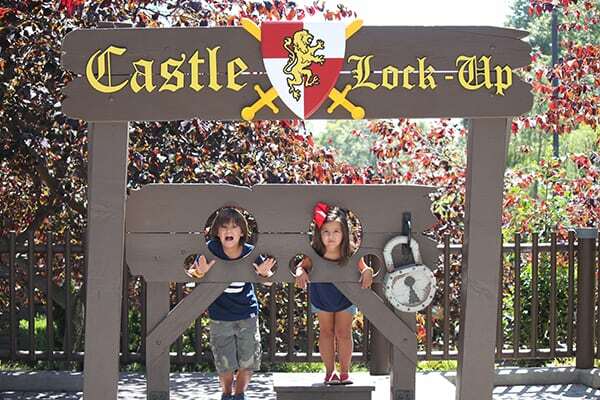 You can see their LEGOLAND ticket prices here. The LEGOLAND Hotel is so fun and really just adds so much to the trip. Since the hotel is fairly new, it opened in 2013, everything is very bright and fresh and fun. The LEGOLAND Hotel is literally right next to the entrance to LEGOLAND, so it’s extremely convenient. Your kids are going to love it! 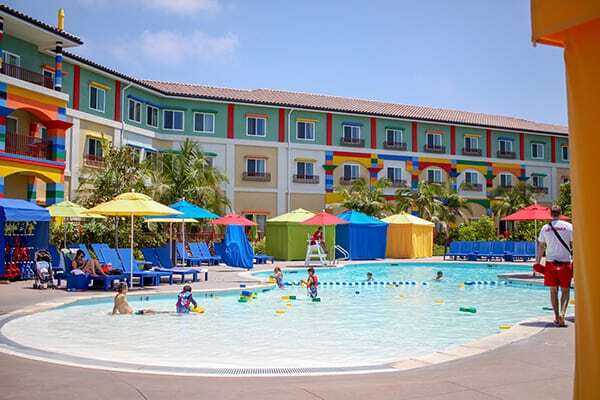 The LEGOLAND Hotel has insanely fun themed rooms, activities for the kids, lego building areas in the lobby, restaurants and this beautiful pool where you can watch movies in the evening. This is a picture of the pool in the morning, it gets a lot busier later in the day and after the park closes. The shallow beach entry area even has floating foam LEGO bricks the kids can build with. 3. Grab a 1st visit or birthday button as a free souvenir. We got ours from the front desk of the hotel when we checked in. 4. Start your day early. As with any theme park or event, the early bird gets the worm. Crowds are lightest in the morning, heavy in the afternoon and taper off again toward closing. 5. Check the park times before you go. Opening hours vary from 9am-10am depending on the day of the week and the time of the year. Legoland closes fairly early too, sometimes as early at 5pm. 6. 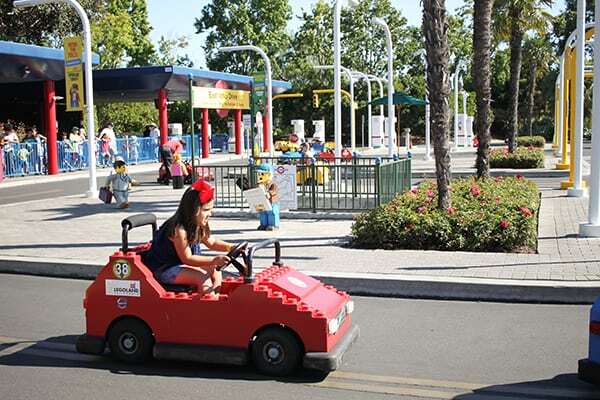 Early Entry – Guests of LEGOLAND Hotel enjoy early access to select rides and attractions. We were a little confused and assumed we would have access to the entire park during early entry, similar to Disneyland. We didn’t really know where to go once we were in the park. 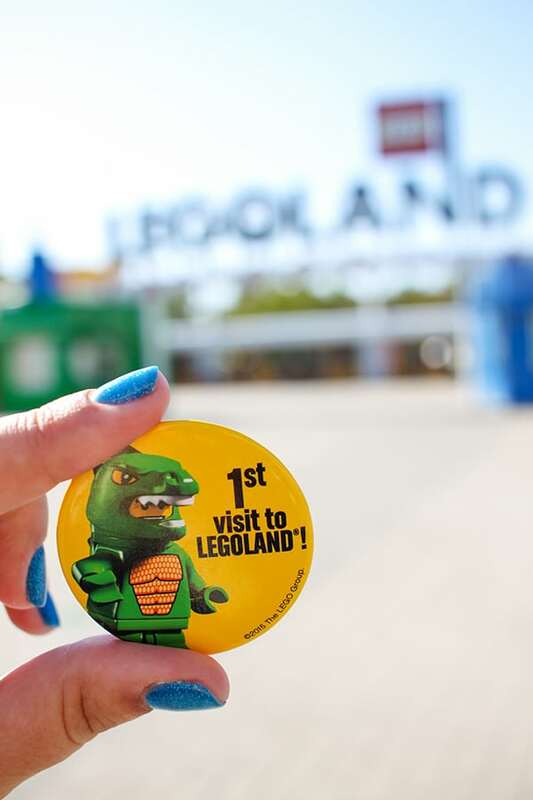 So check the list of attractions that open early which is available at the front desk of LEGOLAND Hotel, then find them on the map of the park so you know where to go. 7. 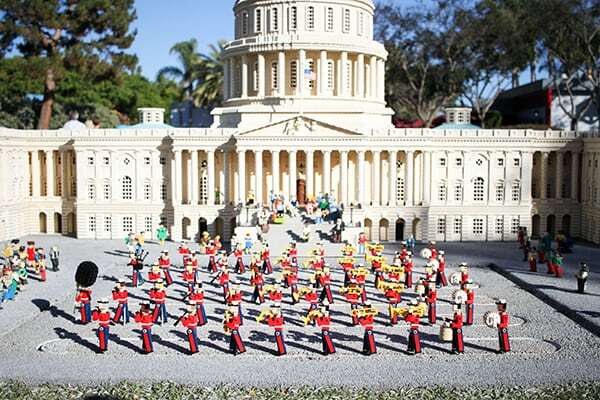 Miniland USA – in the heart of LEGOLAND is the can’t miss mini world of LEGO bricks. 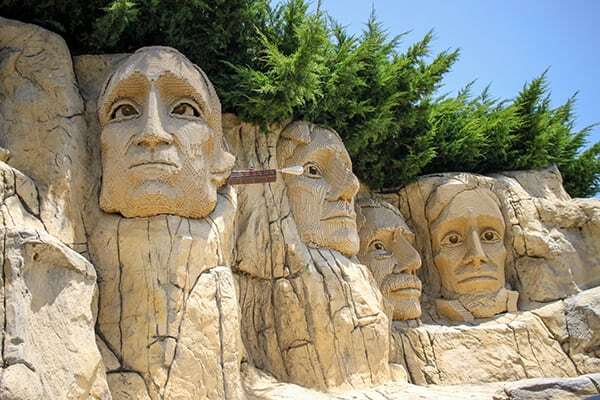 This is one of the highlights of the park, so leave plenty of time to enjoy this incredibly detailed sight. This is a beautiful place to hang out early when everyone else is racing to the rides, or right before the park closes when the crowds have tapered down. Miniland was my favorite part of the park! I could have spent an hour looking at the tiny Las Vegas strip! 8. 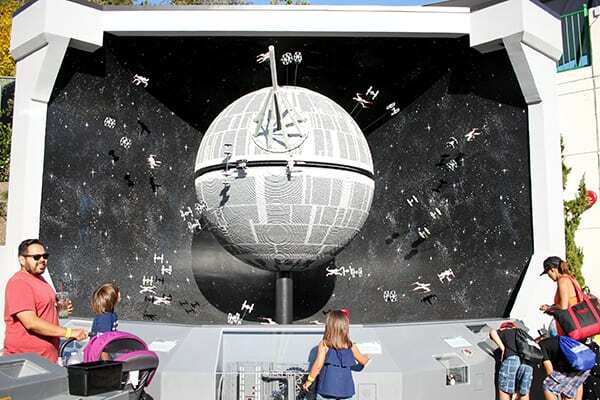 Don’t miss LEGO Star Wars in Miniland – in addition to this amazingly huge Death Star model display, there are entire lego scenes from the Star Wars film as well as a life-size Chewbacca, Darth Vader and R2-D2 LEGO models. A must see for any Star Wars fan! 9. Everything is awesome at the LEGO Movie Experience – located in the back of the new Heartland City, this was one of the trip highlights! 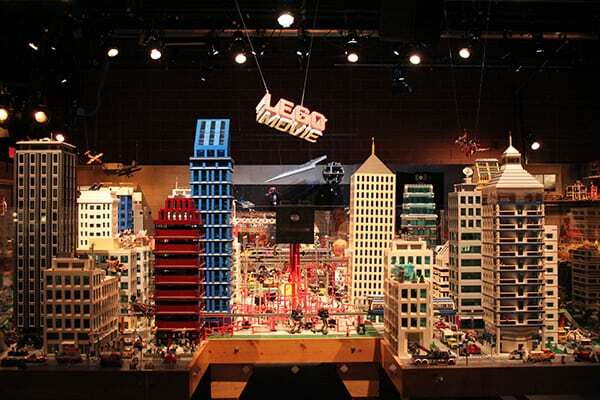 The LEGO Movie Experience. The models from the movies are on display here and it is amazing to see in real life. This area was nice and quite, and not too crowded. Perfect for those LEGO fans who want to soak it all in! 10. There are LEGO characters! – This came as a complete surprise to me. Maybe I have been living under a rock, but I had no idea there were costume characters in the park. 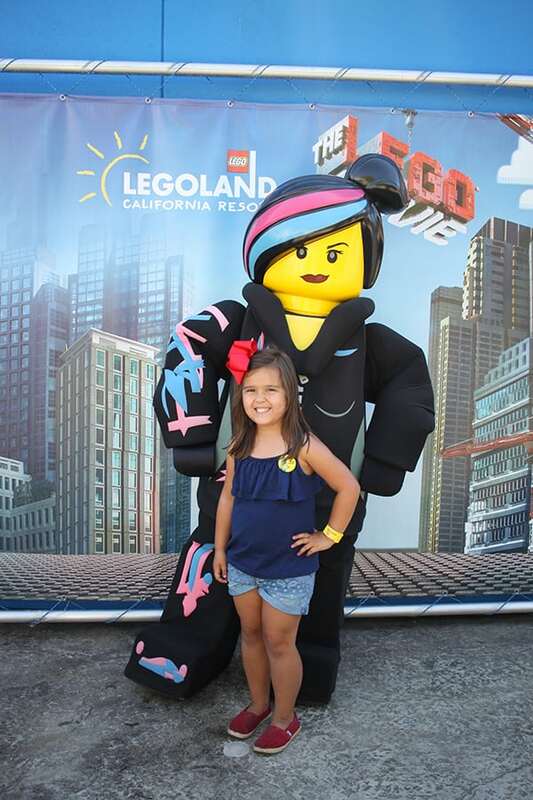 We met Wyldstyle aka Lucy right outside the LEGO Movie Experience. There are characters throughout the park available for different photo opps and we even ran into a few in the Legoland Hotel! 11. 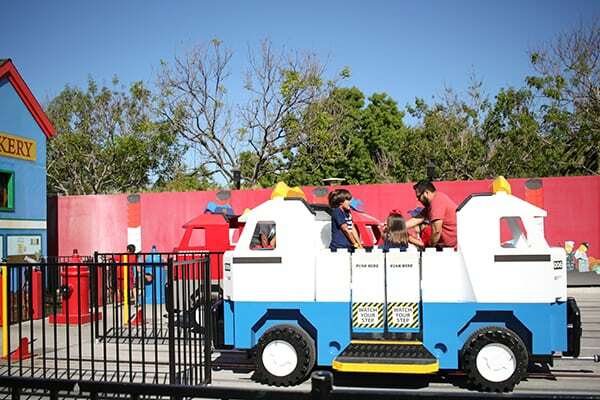 Rides – Legoland attractions and rides are broken up into eight zones laid out in a large circle with the can’t miss Miniland USA in the center. When you enter the park, the more thrilling rides to the right are in the Imagination Zone, and the classic rides to the left are in Explorer Island and Fun Town. 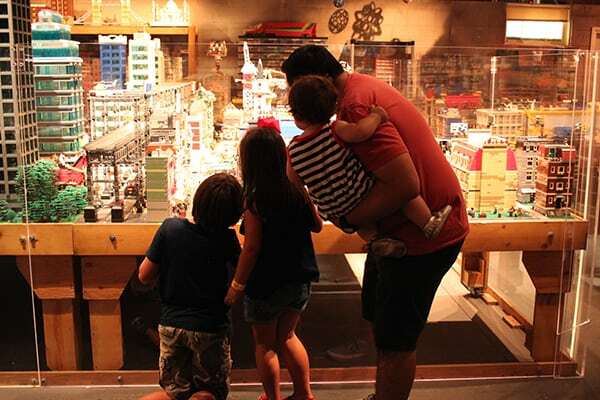 Our family’s favorite area were Fun Town and Castle Hill and of course Miniland. The lines can get quite long very quickly and even when the lines don’t look too long, the wait times can be very long. During our early entry hour, we found ourselves stuck behind a large crowd waiting for the rope to drop to open access to the more thrilling rides in the Imagination Zone. We couldn’t get through the crowd, so we just hung back. Once the rope dropped, we saw a lot of people at a full run toward the Imagination Zone rides. I suggest visiting these rides during the early access time, or as early as possible. 12. 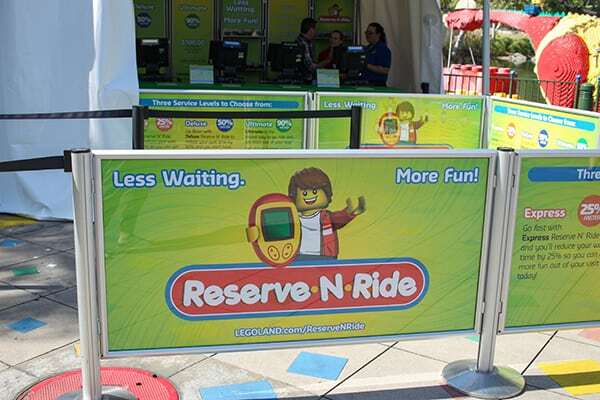 Reserve N Ride – When we were at the park, LEGOLAND was just launching a new system to cut down on wait time. Guests use a handheld device to reserve a place in line and are notified when it’s their turn to ride. The pricing for Reserve N Ride is pretty steep. The top tier level, which holds your place in line and gets you on the ride sooner, will probably cost you more than your park ticket. I don’t think we loved any of the rides enough to pay more than the ticket price, but the lowest price option, which is $25 a person might be worth it to avoid waiting in long lines with little ones. You will have a slightly shorter wait, but you will be able to hold your spot in line and enjoy other attractions. We didn’t try Reserve N Ride because it wasn’t officially launching until the day after we left, but I think we will try the lowest price option next time we visit. 13. Get the Park Hopper Tickets – the water park is fantastic and we could have spent an entire day there. Next time, we will plan for one day at LEGOLAND and one day at the water park. 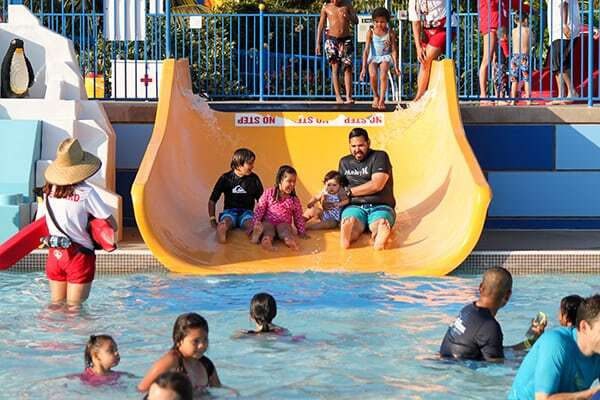 Before you plan your trip, double check the hours of the water park if you plan on visiting. The park is generally open in the spring and summer, but during slower times, like early fall is only open weekend. 14. 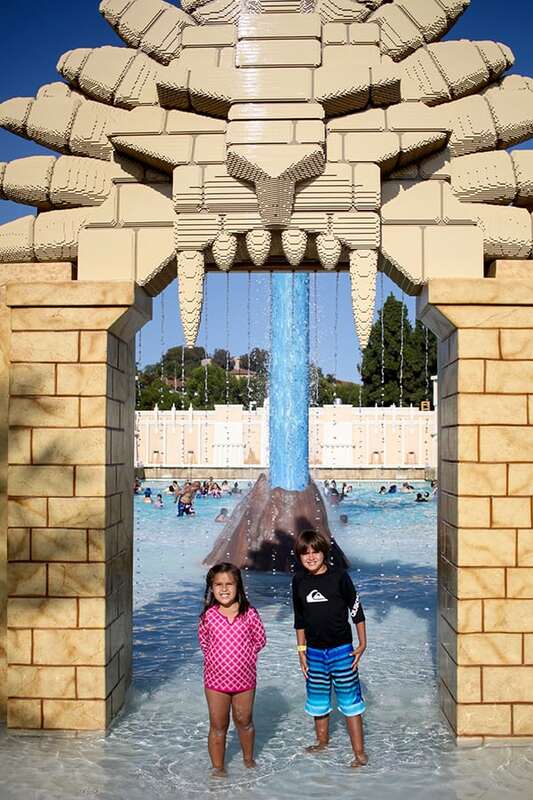 Get to the Legoland Water Park early and/or stay until closing. We headed over to the park around noon, which was peak craziness! Next time, we will get there right at opening. The last hour before the water park closed was heavenly, we practically had the park to ourselves! 15. 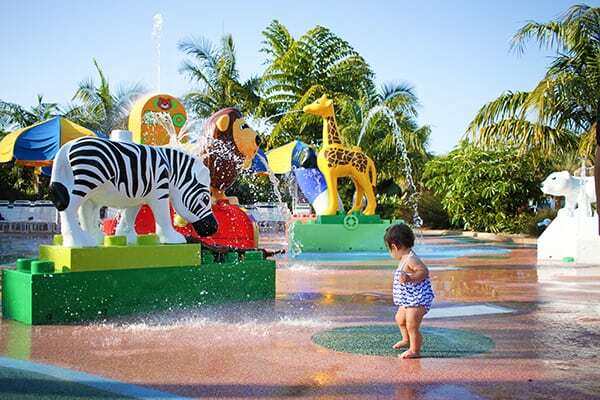 Consider renting a cabana at Legoland Water Park – Private cabanas are a lovely option, especially if you plan to stay at the park for the day. Cabanas can book quickly, so plan on booking ahead by calling for a reservation. Prices start at $100 and go up to $300. If you book a cabana, do not leave valuables unattended, use the private locker instead. 16. 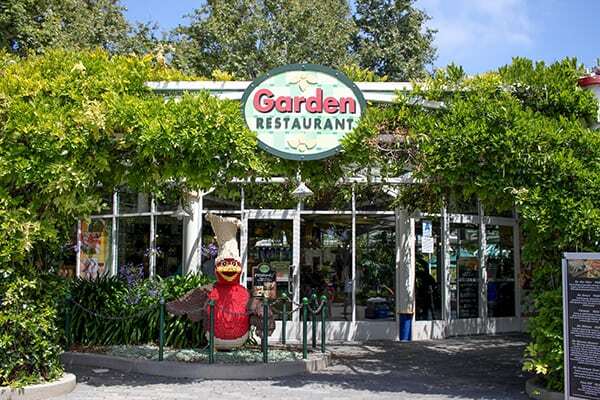 Have lunch at the Garden Restaurant – Our favorite spot for lunch was the Garden Restaurant! Tasty salads and sandwiches that are perfect for a warm San Diego day. Generally, I found all the salad options at LEGOLAND to be really, really good, which is a nice option over typical theme park food options. Lots of choices and fresh produce! The view at the Garden Restaurant is gorgeous! They have a lovely patio that looks out over Miniland USA! If you are visiting on a busy day, make sure you grab lunch early or late, as the seating can be limited. 18. 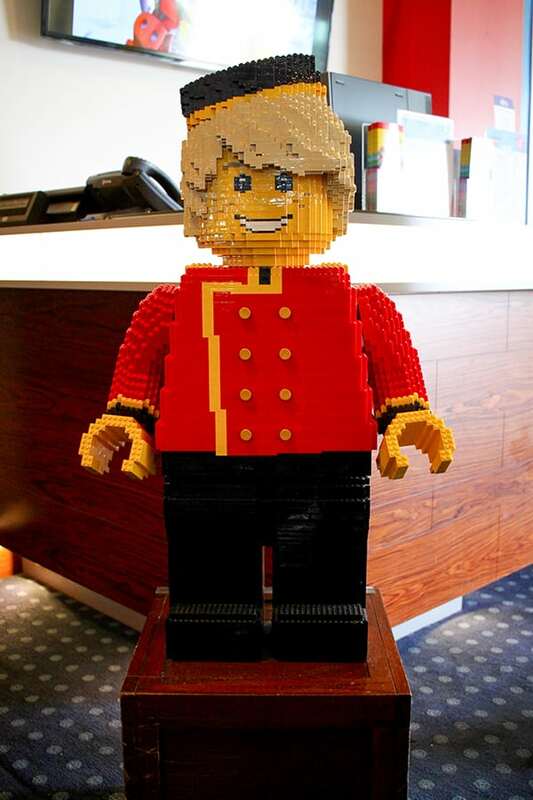 Ask the Concierge for help – If you do stay at LEGOLAND hotel, make sure to ask them for tips or, really anything you need! On the day we checked out, our kids were asking to visit the park for a little while before we headed home. Guest services told us they couldn’t upgrade our two-day passes to three-day passes, but the concierge was able to help us right from her desk. We ended up staying for almost the entire rest of the day, and it was a great day! 19. 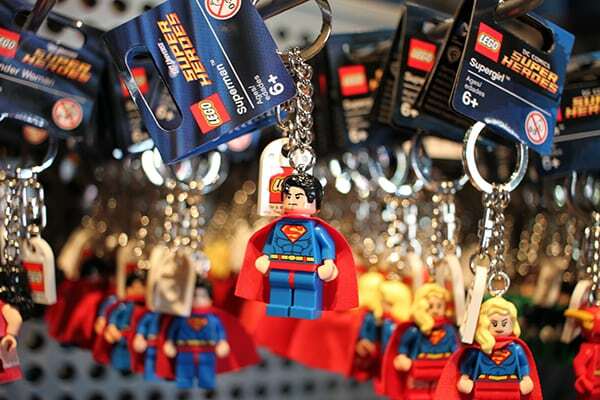 Minifigure Trading – almost all the LEGOLAND park and hotel employees wear LEGO Minifigures on their badges that they can trade. Don’t bring any super special Minifigures to trade, any complete Minifigure figure is fine, so have the little ones raid their LEGO stash. This is my son trading his first Minifigure. This guy wears a special vest with a ton of figures available to trade. 20. 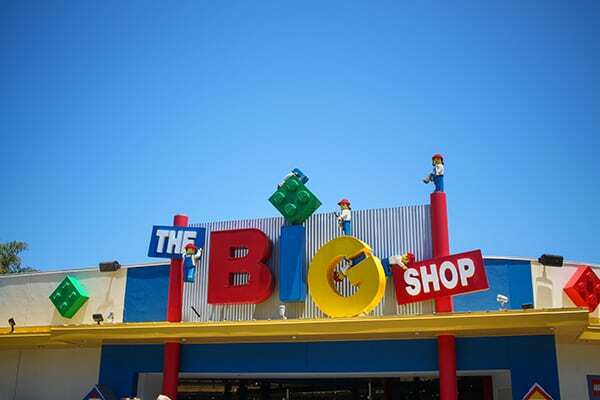 The Big Shop – when you enter LEGOLAND, you can find The Big Shop to the right with lots of fun LEGO products and LEGOLAND gear. I really liked the LEGOLAND t-shirts and there were a lot of styles to choose from. 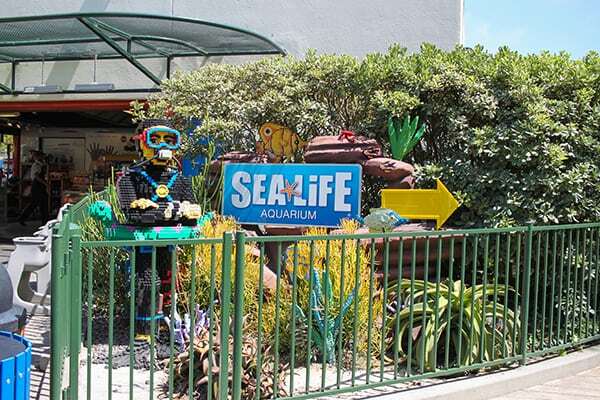 My kiddos are wearing them in the aquarium picture below. Though they had a lot of LEGO toys at The Big Shop, I think I prefer The LEGO Store in Downtown Disney at Disneyland for serious LEGO shopping. It’s so big and bright and a can’t miss if you are visiting Disneyland! 21. Plan on getting wet. Here is a picture of the new LEGO Friends fountain in Heartland City. This was first thing in the morning, by the afternoon, it was full of splashing kids. Even if you don’t hit the water park, there are a lot of places for the kiddos to cool off, plus family dryers ($5) to dry off in after they are done. 22. 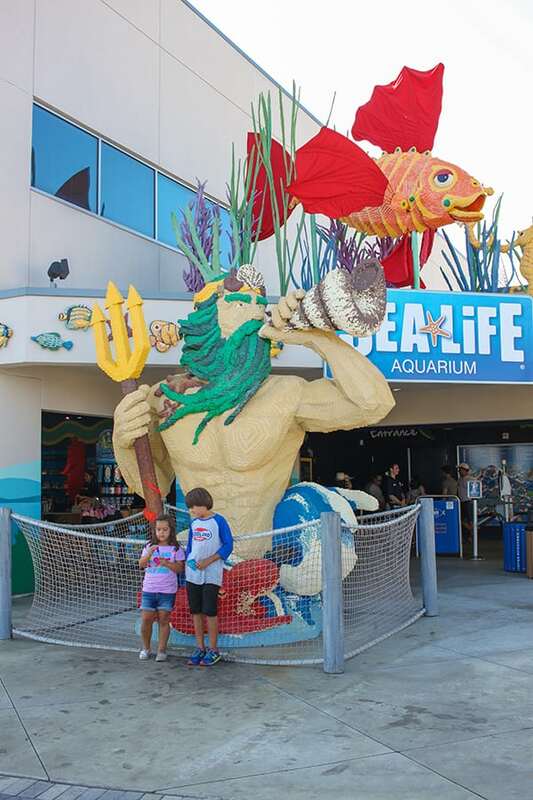 LEGOLAND Sea Life Aquarium – The beautiful Triton LEGO sculpture outside is my absolute favorite part of the aquarium and you don’t even have to go inside to see it. 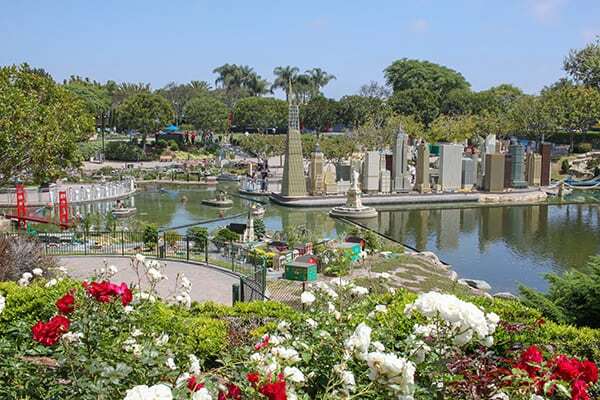 You can also enter from inside the LEGOLAND park. 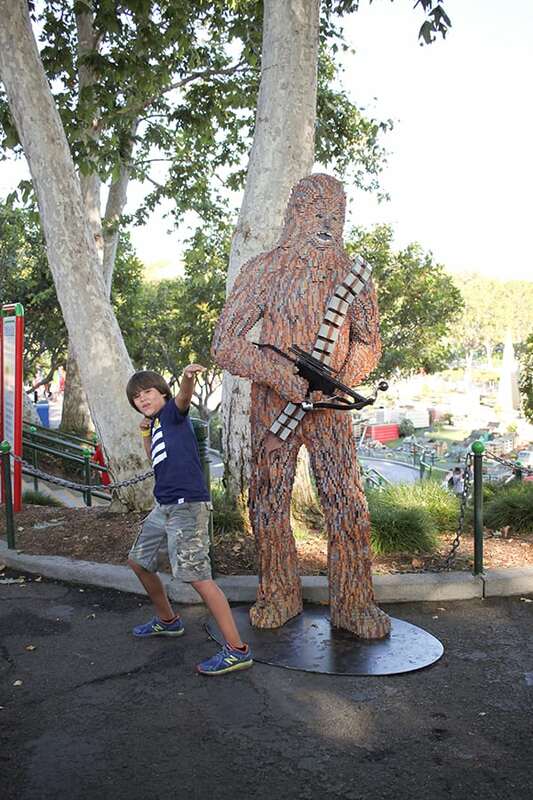 We put this last on our list of things to do at LEGOLAND, and I’m glad we did. It’s a nice place to end the trip, but if you run out of time to visit, you aren’t missing out on too much. It’s just a nice, quiet aquarium. 23. Dinner and Breakfast – since the park general closes pretty early, you might consider eating dinner outside of the park. 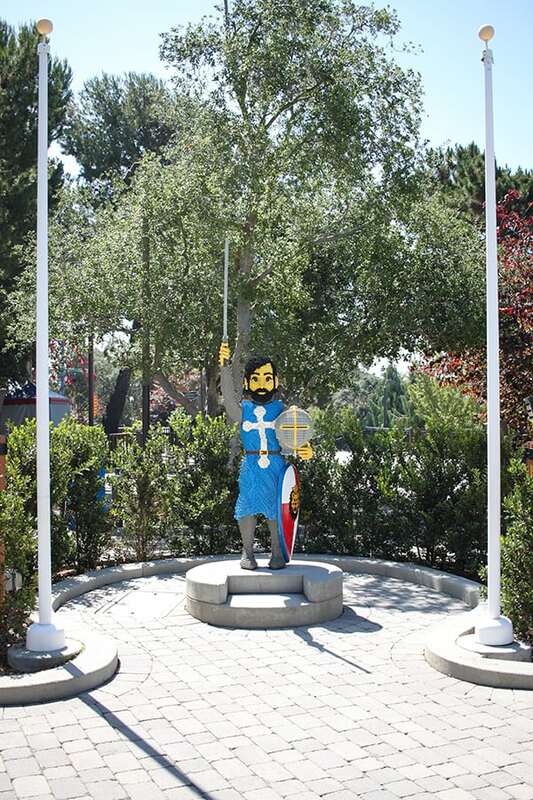 There is an In-N-Out Burger less than a mile from LEGOLAND! 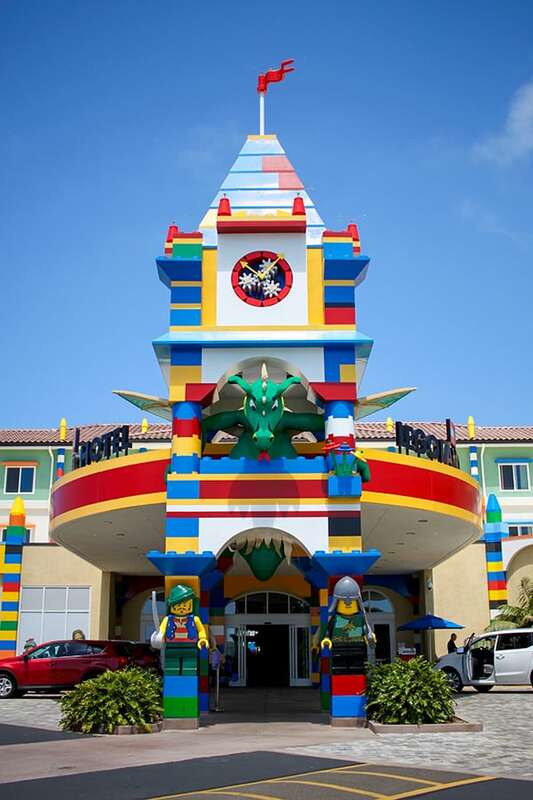 If you are staying at LEGOLAND Hotel, we loved Bricks Family Restaurant breakfast buffet and it was complimentary with our stay. 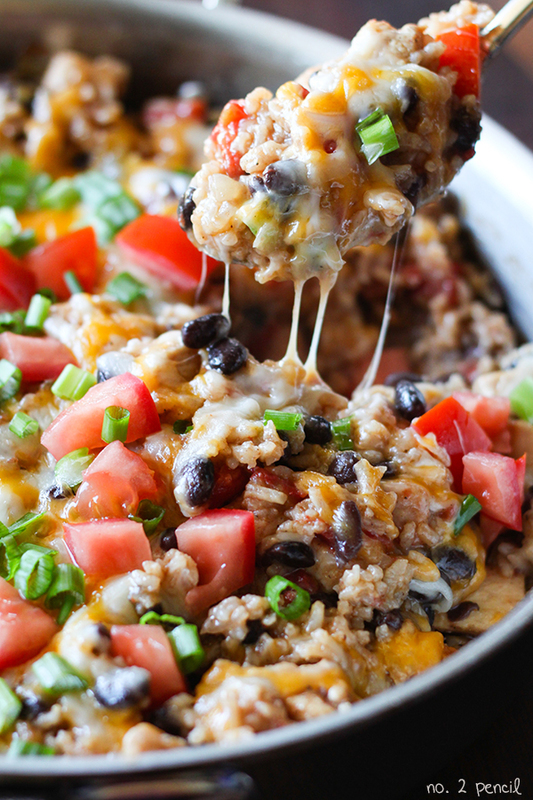 I’d love for you to keep up on my new projects and recipes. You can follow me on Facebook and Twitter. You can also find me on Pinterest, that’s my favorite place to hang out and I’d love to see you there.